Visit two highlights of Kuwait City without having to arrange independent transportation on this afternoon-evening private tour. 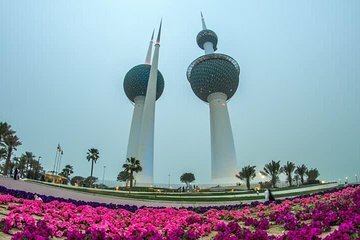 Admire the panoramic views of the city’s skyscrapers and bay from the Kuwait Tower, and explore the aquarium, 'dhows' (traditional Arabian trading boats) and interactive displays at the Kuwait Scientific Center. Afterward, travel to a local restaurant and enjoy dinner (own expense) before a transfer back to your hotel.